The skirt and bag are really pretty. Everything is put together so well. I am obsessed with that skirt! It is perfect on you! Okay, this may be the prettiest skirt I have ever seen! 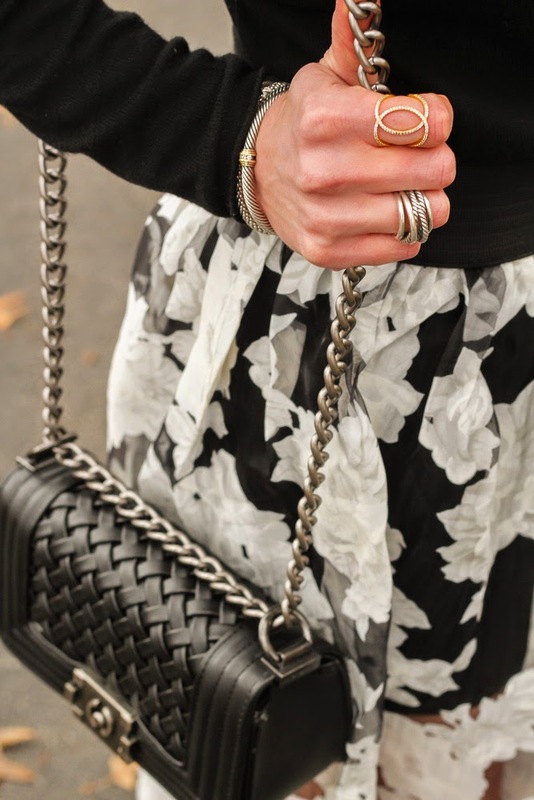 I love the floral patter, the black and white and the sheer material! You look gorgeous. This is not a winter skirt, but I love it! This would be perfect for the summer!